DIVORCE 911 collaborated with Russ Thornton of Wealthcare for Women for this blog post. We have a video covering this topic as well. Social security benefits are a fairly complicated topic. People are often confused even more when divorce is an added dynamic. 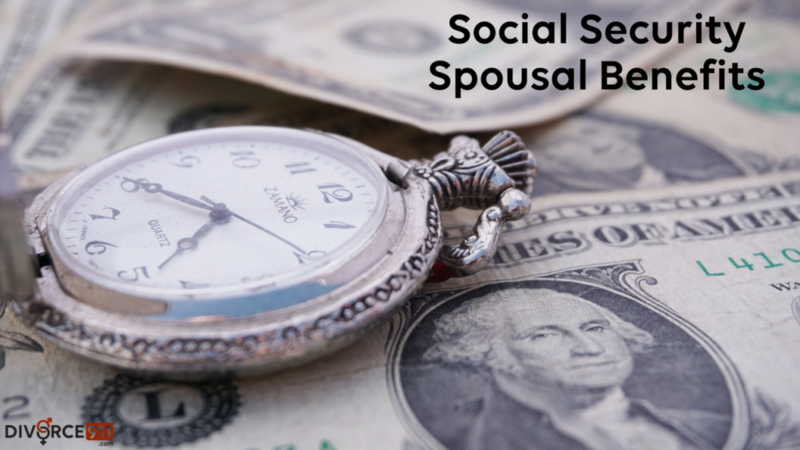 One facet of this is the opportunity for a spouse to receive social security spousal benefits based on their ex spouse’s earnings record. This can apply to you if you were a stay at home parent or out of the workforce for a long period of time. Another instance could be if you’ve worked throughout the marriage but it was part time or a lower income job. This would lead to the former spouse being eligible for a larger social security benefit. The next fundamental part of this process to consider is the number of years that you were married. You are required to have been married for 10 or more years to be eligible to receive spousal benefits. Even then, this only applies if the spousal benefits are greater than your own. To put it simply; if you were married for more than 10 years and half of your former spouse’s social security benefit is greater than your own social security benefit, you get the larger of the two benefits. An example of this would be as follows: Your retirement benefit at the age of 66 is $1000 per month. Your former spouse’s benefit is $2500 per month. If you were married for more than 10 years and got divorced you would be entitled to half of $2500. This would be $1250 and that sum is greater than your current $1000. Please remember… You are eligible for this amount for the rest of your life! This has zero impact on the amount your former spouse receives. If you outlive your former spouse you would go from receiving $1250 a month to the full $2500. Receiving the full $2500 per month would fall under the spousal survivorship benefit. It’s important to be aware of the rules and the different benefits that may be applicable to your situation. As you can see, spousal social security benefits can play a role in your financial and retirement planning. Unfortunately, many people are unaware of the different social security benefits he or she may be entitled to after a divorce. With so many different rules and regulations, it is easy to be unaware of the ones that can benefit you the most. DIVORCE 911 is ready to provide you with the right resources and information that you will need.